There have been many victims in the War on Drugs, from families being torn apart to victimless criminals rotting in a cage for possessing marijuana. But one victim of the war on drugs that is seldom mentioned is alternative medicine. There has been plenty of research lately showing the near miracle medicinal properties of cannabis, from curing cancer to treating diabetes, but little has been said of these three “psychedelic drugs” which are illegal, however hold some amazing medical properties. In a post on The Atlantic, Roland Griffiths, a professor in the departments of psychiatry and neuroscience at Johns Hopkins University—and one of the first to resume work on these drugs— published a study five years ago that demonstrated how effective they are at improving how a person feels. Anecdotal evidence suggests that Ayahuasca can successfully treat depression, anxiety, addiction, as well as being used by natives to treat nearly any illness. 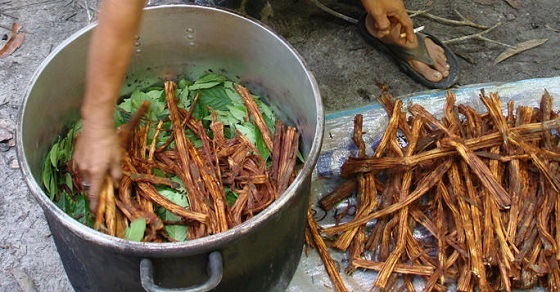 If you want to give Ayahuasca a try, make sure to be aware of local laws which may prohibit importing it and the risks involved in taking it. You can find it here or elsewhere on the internet, or you can take a trip down to South America to get the authentic experience. Here are a few useful recipes. According to Natural Society, research from the University of South Florida shows psilocybin, the active component within psychedelic mushrooms, is able to grow new brain cells—potentially offering treatment for mental illness and improving cognition. 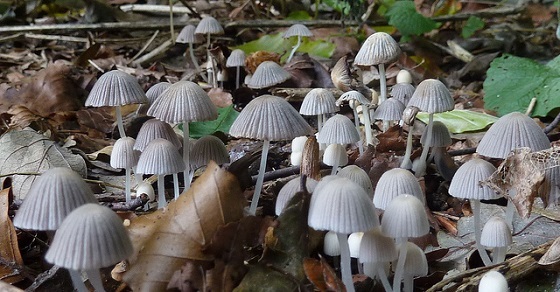 The study, published in Experimental Brain Research, says psilocybin is able to bind to special receptors in the brain that stimulate healing and growth. In the case of these mushrooms, brain cell growth occurs. In mice, the researchers found psilocybin to actually help repair damaged brain cells and cure or relieve PTSD and depression. Commonly know as ‘Molly’, and the main ingredient in Ecstasy, MDMA has long been a party drug commonly found in the electronic music scene. But recent research has found that this drug can be used medically, not just for recreational purposes. At least two studies have shown a positive health impact of MDMA treatment for people who suffer from Post Traumatic Stress Disorder (PTSD). “The research was a follow up to an earlier study published in 2010 in which a group of 12 patients with chronic treatment resistant PTSD were given MDMA, and compared with another group of eight patients who were not, during and after psychotherapeutic treatment for their PTSD. While the FDA and ‘Big Pharma’ are enjoying their monopoly over ‘modern medicine’, the tides are changing in the way Americans, and people all over the world view illegal drugs. Over 22 American states have already legalized medicinal use of marijuana with many more states voting on marijuana measures in the coming election. Cannabis has been decriminalized in at least 18 other countries. However, other drugs –just as the ones mentioned in this article– are not being talked about much on the political stage. The truth is that the drug war is not only a failure and a waste of money, it’s also very deadly. The War on Drugs has cost Americans an estimated $1 Trillion over the last four decades, with very little progress to show. Addiction rates remain high, drug use remains high, and patients are being denied their medicine. America’s incarceration rate is now the highest in the history of humanity, with the poor and minorities are taking the brunt of the negative impacts of the War on Drugs. Our policies have caused a massive turf war between rivaling drug cartels competing for the lucrative American illegal drug market, taking the lives of 50,000 people since 2006 and driving a record numbers of refugees to the US from Latin America. We can’t forget about the staggering rise of ‘legal’ prescription medications. Doctors, many times, will just throw pills at people instead of figuring out why they are ill, leading to and epidemic of over-medication. In fact, the rise of dangerous prescription drugs have led to a huge amount of deaths. There are now more people dying from ‘legal’ drug related deaths than die from illegal drugs including meth and heroin, but they don’t mention these facts on prescription drug ad funded TV news stations. The fight against the drug war is being won, but we cannot stand for a partial victory. All drug use and addiction should not be treated as a criminal activity, it should be treated as a health issue. The time for putting people in cages for committing victimless crimes, using drugs which disconnected bureaucrats deem illegal, is over. And we can’t forget that many of the so called ‘illegal’ drugs have some pretty awesome health benefits. Nick Bernabe is the owner and lead editor of the website TheAntiMedia.org, an activist, blogger, and the original founder and spokesman of the March Against Monsanto movement. He is also a guest contributor to The Mind Unleashed. Please follow his Facebook page by clicking here.